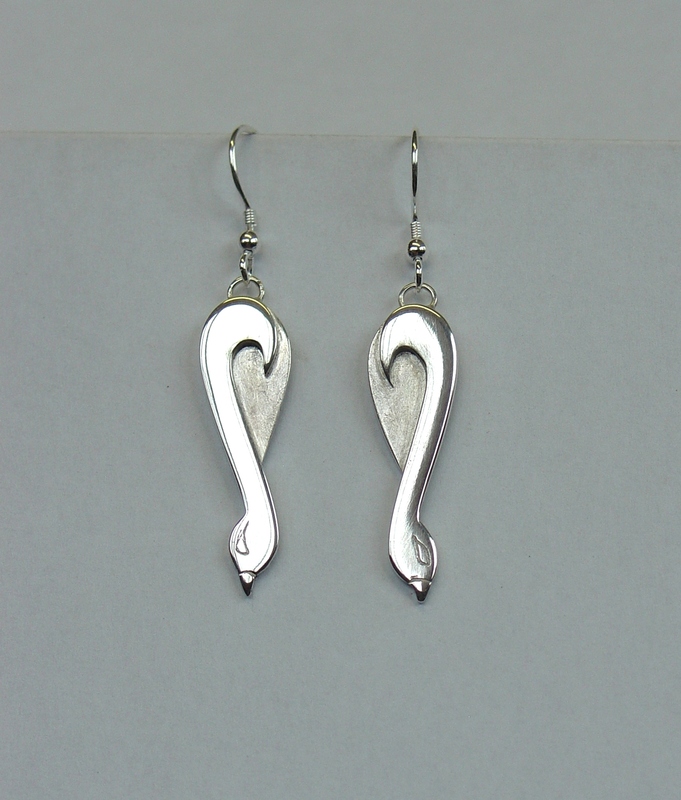 Earring designs can be repeated and made up in any combination of metals, except cast earrings which are always one-offs. Repeated designs are still individually hand-made so may differ slightly from a design chosen. 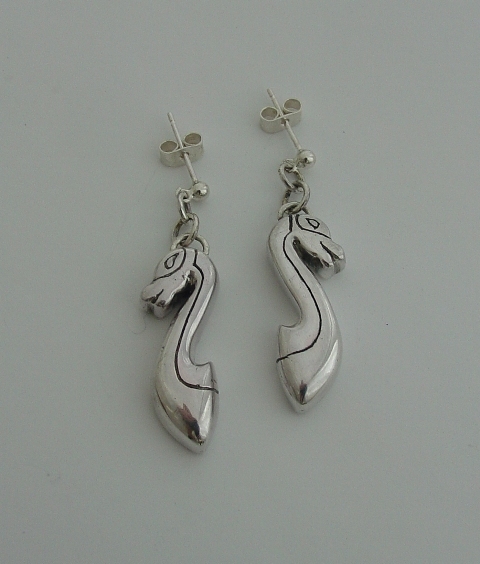 Earrings can be made up to match pendants and can be fitted with hook or stud fittings. All ear-wires are made from precious metals but you can chose to have hypo-allergenic fitting if you want. 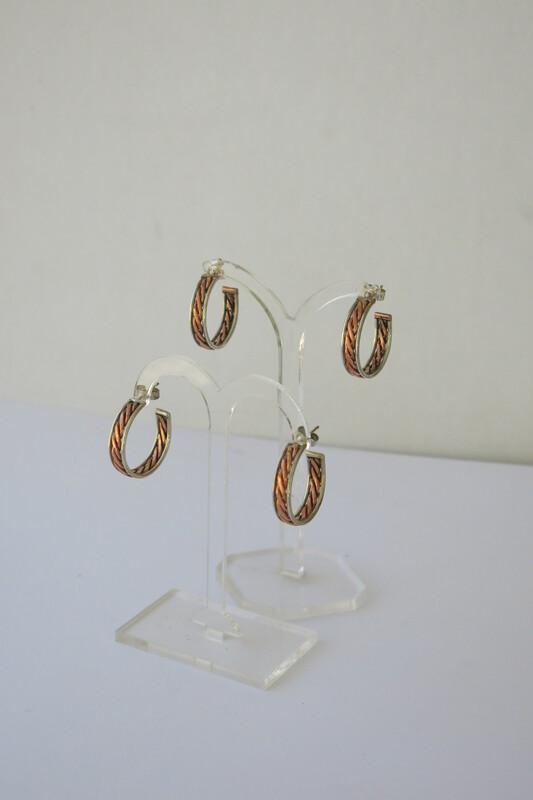 Silver and copper earrings with central twist in copper/brass edged with silver wire or silver tiwst edged with copper/brass wire. Stud fastenings. 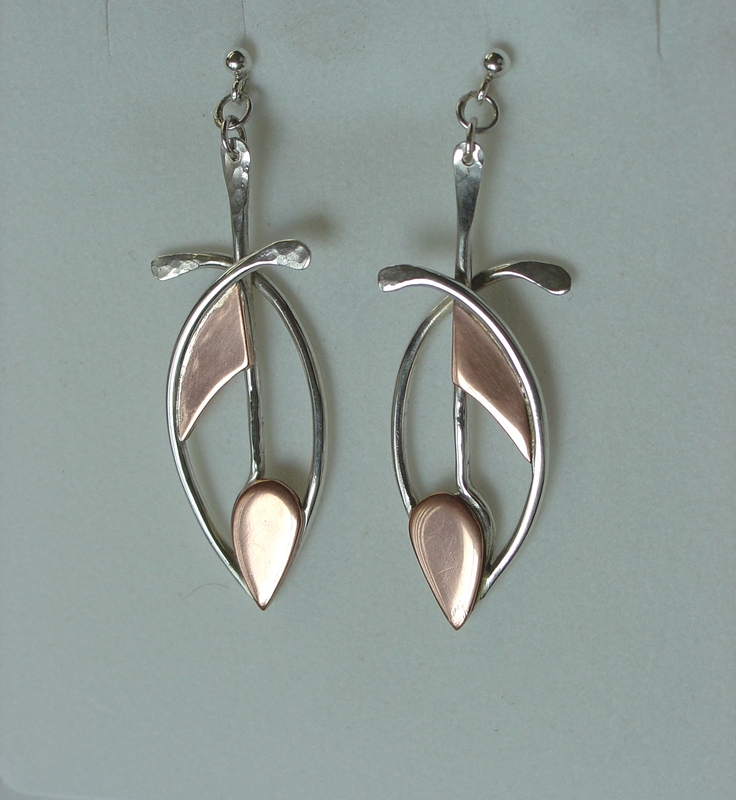 Perfect to compliment silver and copper/brass rings, bangles and pendants. Completes the set!! 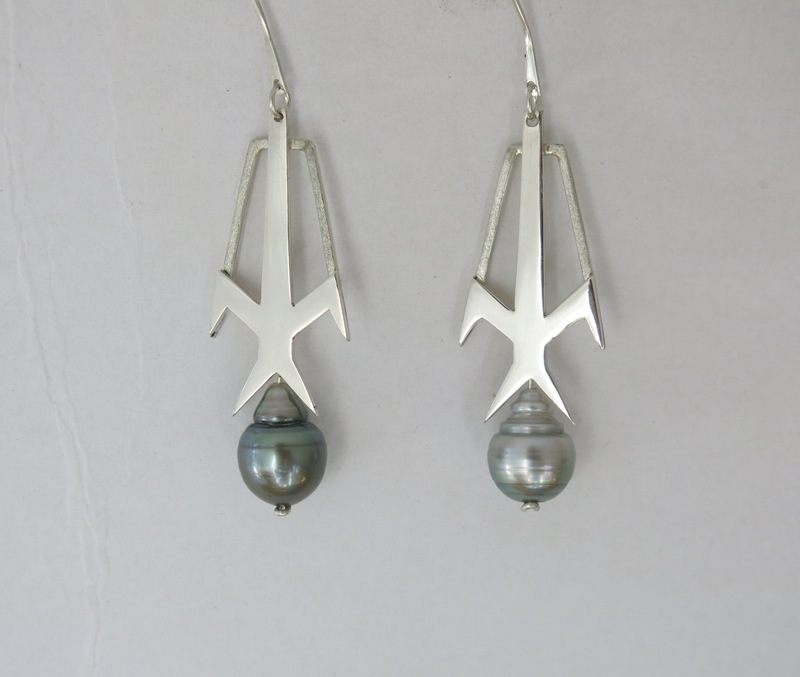 Silver earrings in frigate bird design with hanging fresh water pearls. 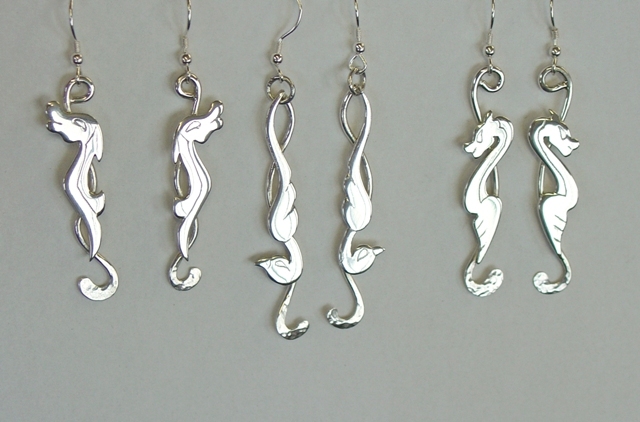 Designed and commissioned earrings using customers pearls. 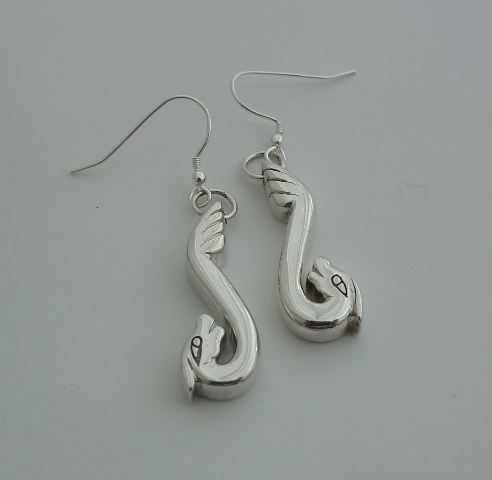 Layered silver sheet bird earrings with wire hook fitting. 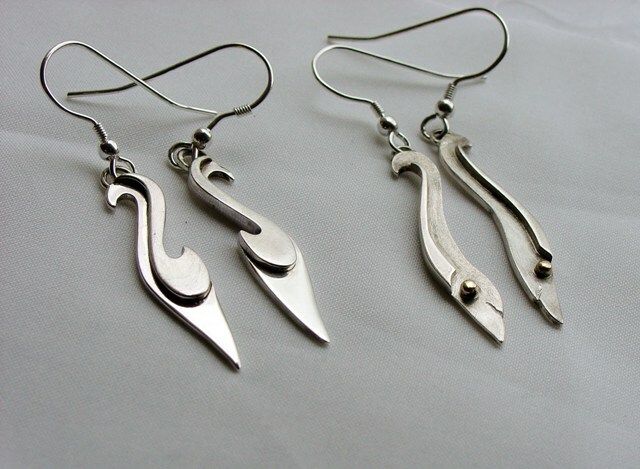 Silver wire and copper sheet earrings in abstract fish design with stud fitting.Commissioned to match pendant.